Until the venue, date and other information is officially announced, there will continue to be doubters. We were told last week that the fight would be officially announced “early next week at the latest,” yet this week has come and almost gone, and nothing. Zero. Nada. Well, not quite. Wilder, taking to social media, has actually thanked fight fans for being as patient as they have been regarding waiting for this fight. “Announcement any day now. Thank you for being patient. This is going to be an amazing fight. 5:17 am, I’m up shadow boxing thinking about Tyson Fury. Oh boy when I’m done with you, the only thing you’ll be able to eat is New England clam chowder soup,” Wilder wrote. Let us hope so. Maybe all concerned are waiting for the world’s media to be gathered in Las Vegas for the huge Gennady Golovkin-Canelo Alvarez rematch of September 15, and officially announce the big heavyweight dust-up then. 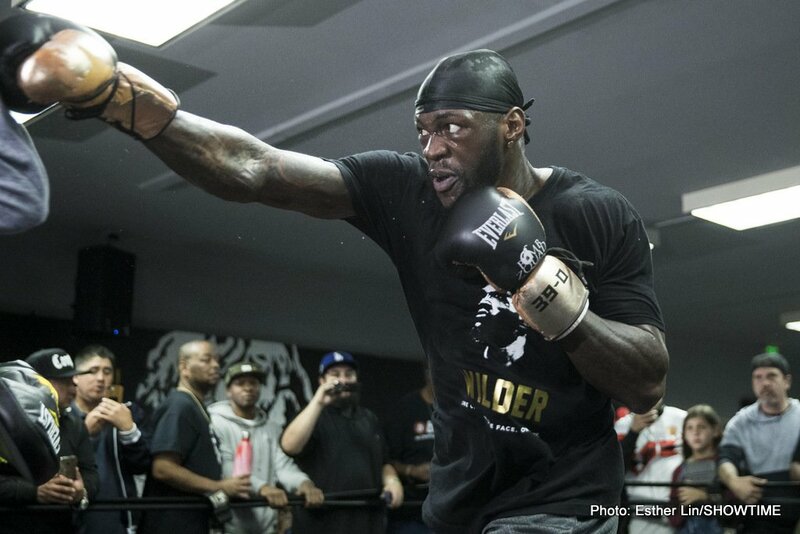 After all this waiting, and getting excited, this fight, for the WBC heavyweight crown currently held by Wilder, simply has to happen. Next boxing news: David Price – Sean Turner Fight Off?